Without fear of contradiction, you’ll fall in love with any ring your fiancé surprises you with. However, that doesn’t mean it could hurt giving him a few hints about your ring preferences, and what matches your style best, would it? 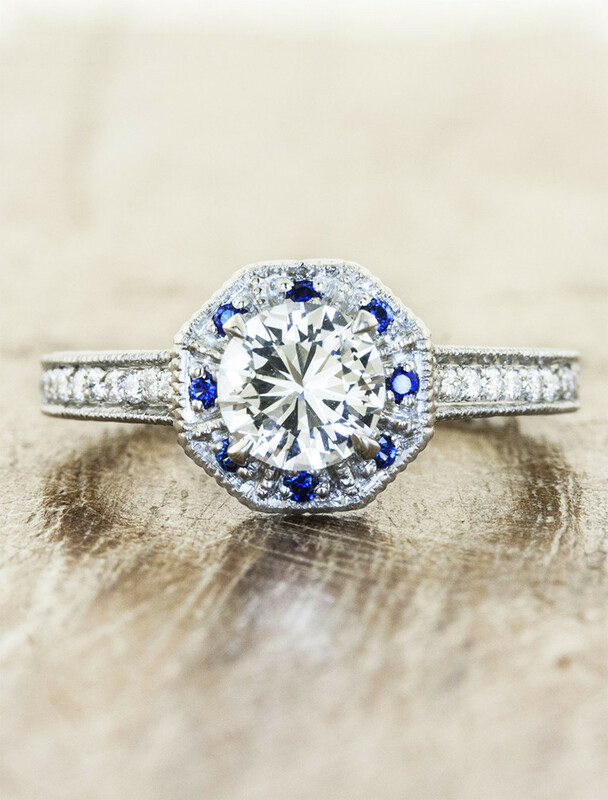 Whether you’re more inclined towards appreciating a sapphire, or a princess-shaped diamond cut, it’s up to you to choose your perfect match from the following unique engagement rings. 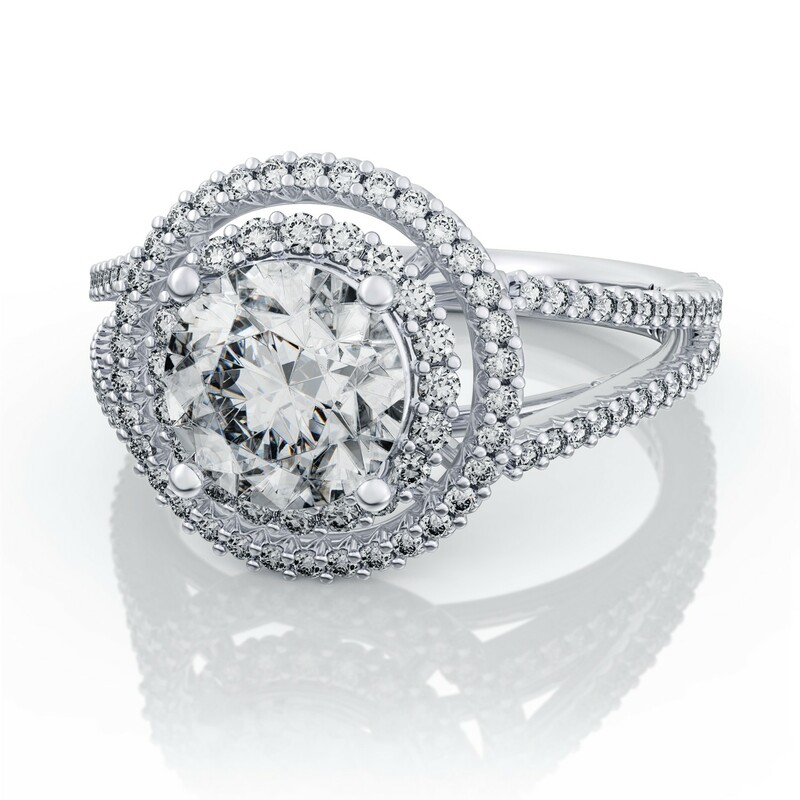 There’s a reason why elegant and classic engagement rings will remain close to every bride’s heart. 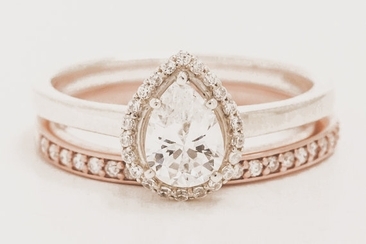 Such a ring complements each bride’s hand, and is easy to style, given the fact that it has a timeless appeal! 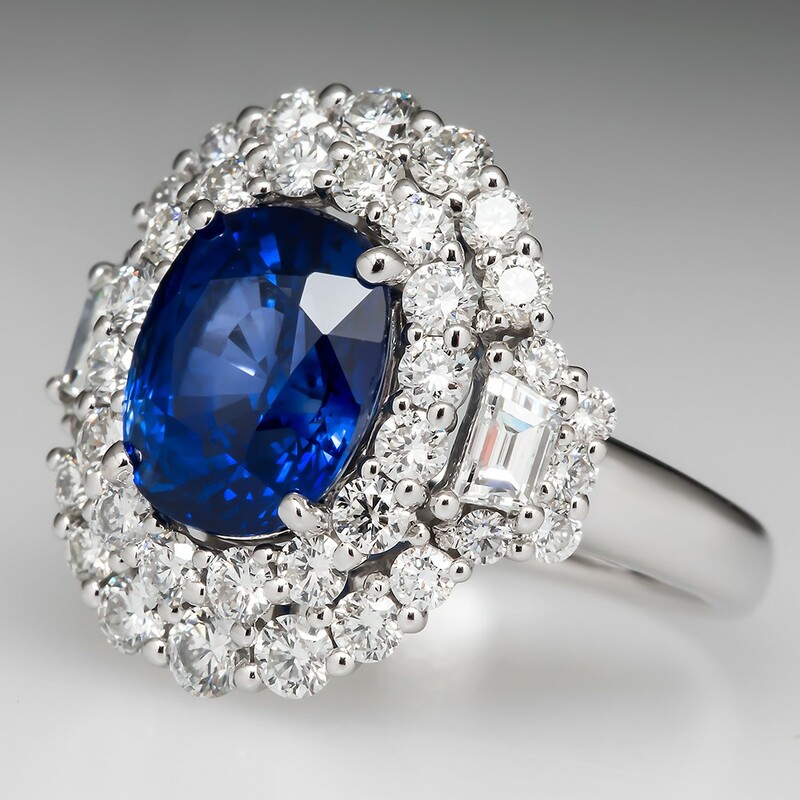 Sapphires will always mirror a translucent elegance, which will never go out of style. Being offered such a ring will definitely make you feel like royalty. 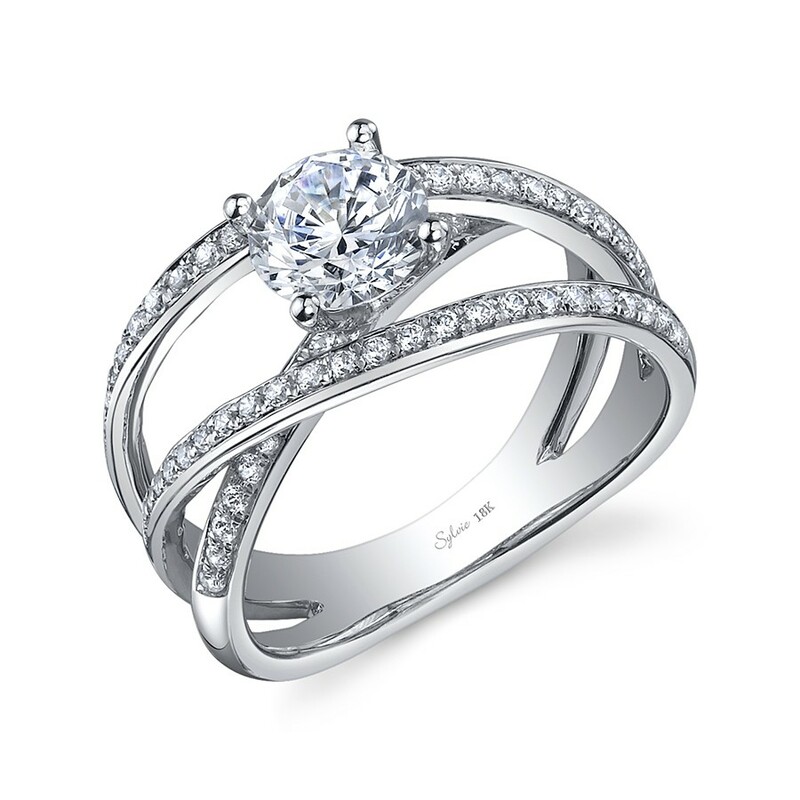 This beauty has earned its spot in our selection of unique engagement rings. The cut black diamond, combined with the white diamonds, creates the ideal contrast, and the edge undoubtedly contributes to this proportioned look. 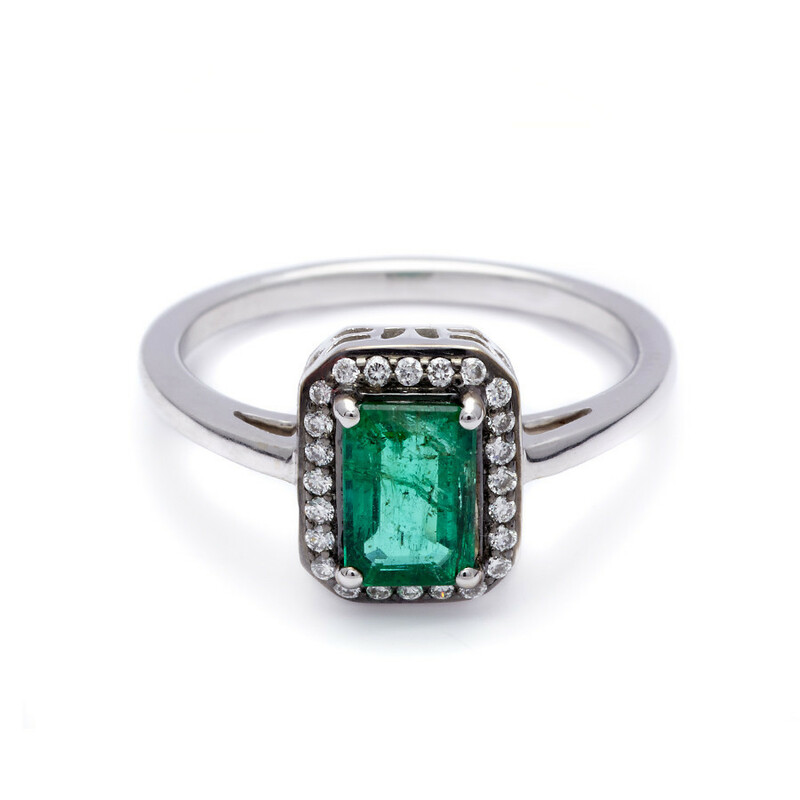 What is more stunning than an emerald ring? It illustrates elegance, and a timeless fascination – traits that won’t fail to impress you. This unique champagne diamond is pure beauty, sparkling from every angle. The round-shaped diamond, which mirrors a faded shade of pink, is the ideal pick for the romantic bride, who imagines herself walking down the aisle in a luxurious vintage-inspired dress. 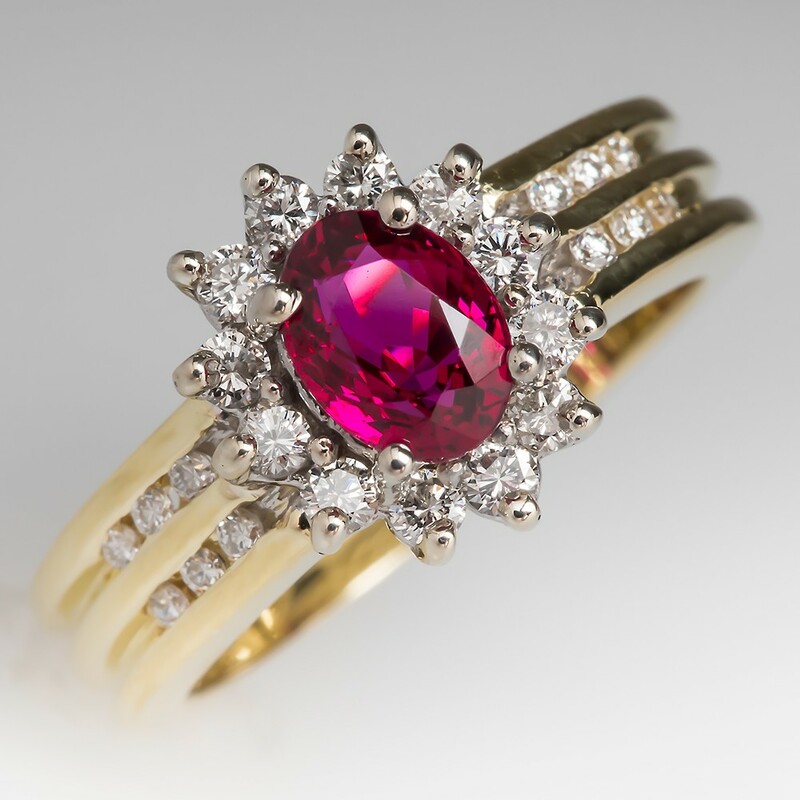 Nothing mirrors royalty and elegance the way in which a vintage, 100 percent unique ruby ring does. Vintage rings do have a certain appeal, carrying a hidden part of the past, and having a doubled value for each bride who finds inspiration in this period. What says Will You Marry Me better than such a ring? Probably nothing, apart from an emerald, or another type of diamond, of course. This astonishing ring has earned its spot on our list of unique engagement rings.The certified diamond, together with the excellent attention to details features a truly authentic choice. 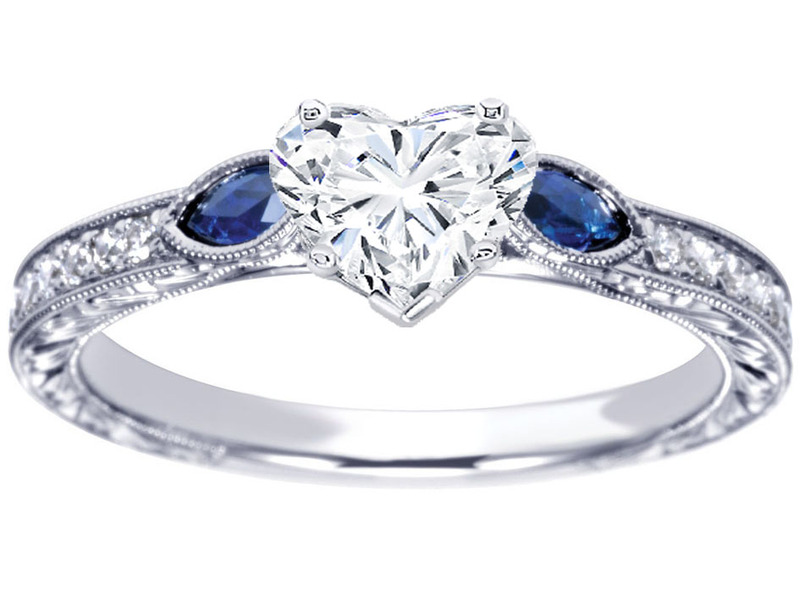 Who doesn’t want to be surprised with a ring that illustrates an old time charm with touches of sapphires? The stunning round-centered diamond surrounded by sprinkled blue sapphires creates a winning combination. What makes the ring even more gorgeous is that it’s engraved with sublime details. 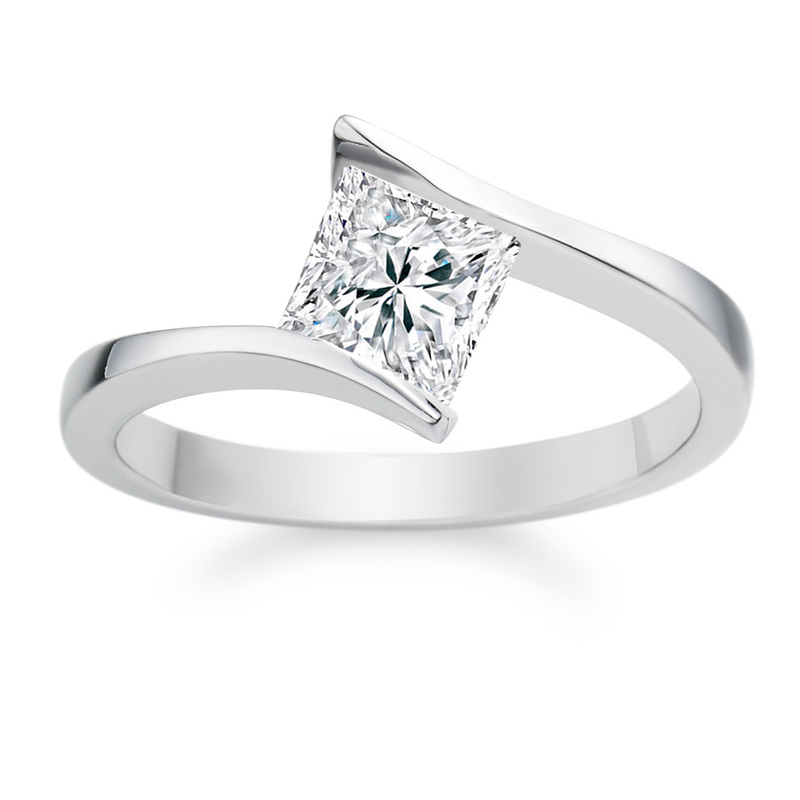 The princess-cut diamond shape is, by all means, one of the most famous and beloved of them all. It’s classy, timeless, and has a luxurious appeal for every bride-to-be. If your style is rather unconventional, and rarely does your taste appeal to the fashion of the hour, opting for a retro-inspired ring can be the ideal alternative for you. 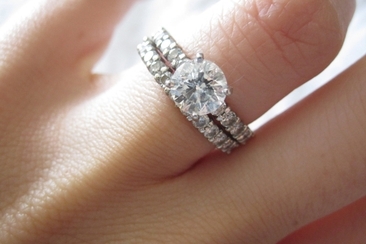 If such a ring fits your personality like a glove, make sure you let your future spouse know! This pear-shaped ring has a particular charm you won’t be able to resist as soon as he pops the question. 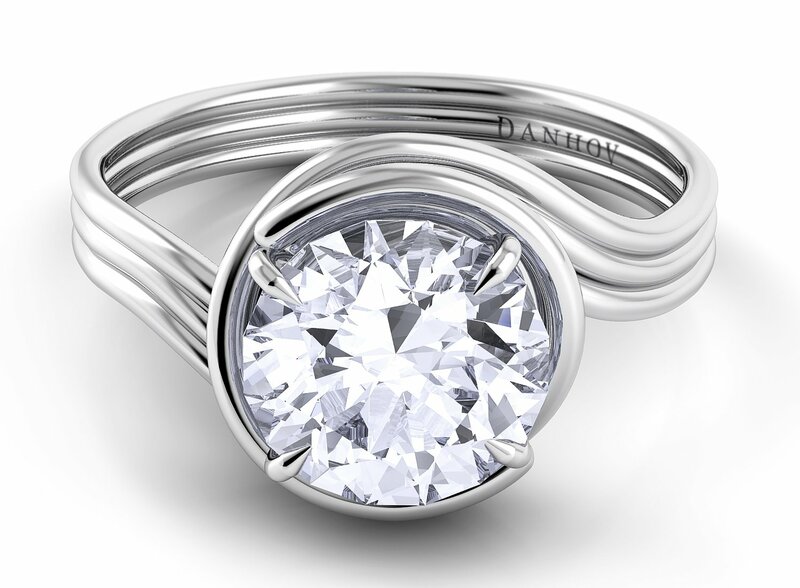 The style of the ring is elegant, yet different and chic. What more could you ask for? By all means, this ring, decorated with stunning embellishments, is more than perfect for the bride-to-be that enjoys being spoilt by luxurious presents. 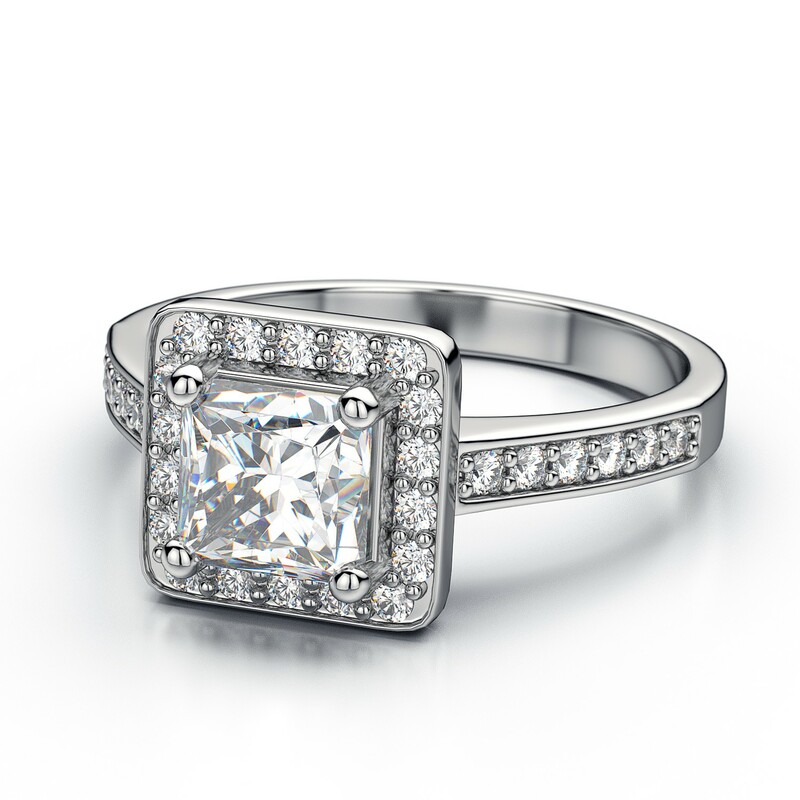 Everything about this ring is breathtaking, as you’ll be when he asks you the big question. 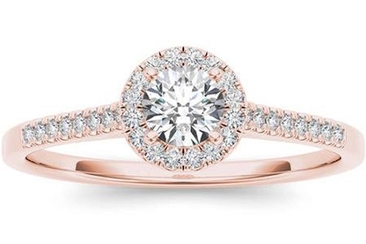 We couldn’t have left out this outstanding jewelry from our list of unique engagement rings. The clear lines, and authentic style account as inspiration from the modernist era. 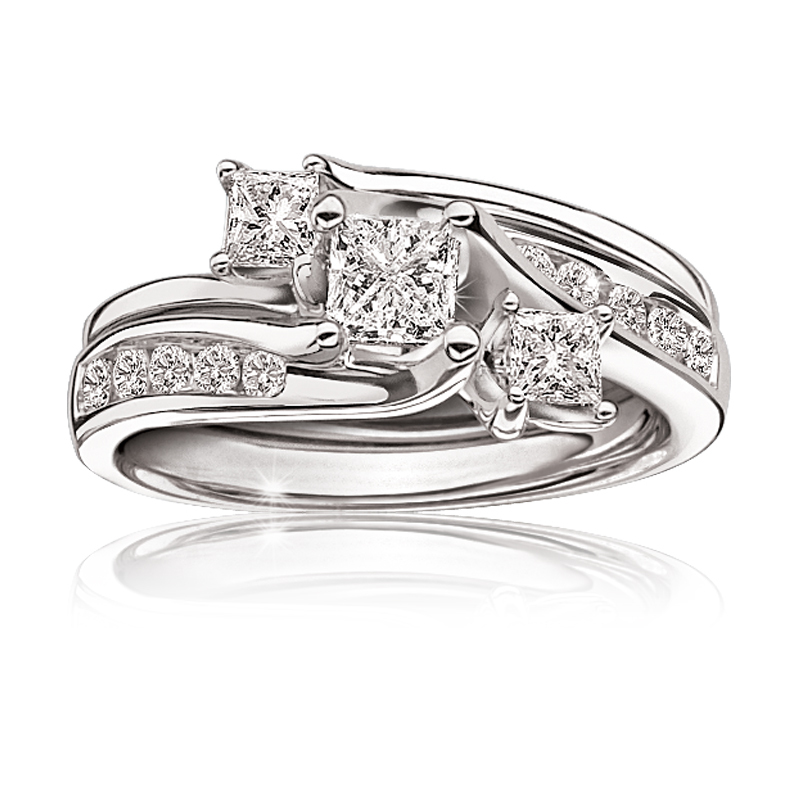 What ring is more perfect to symbolize your commitment to your partner than this ring in the form of a shooting star? Certainly, this isn’t something you see at every corner – it’s authentic, original, outstanding and unique. The perfect combination for an edgy personality. Unquestionably, if you’re given a heart-shaped ring, it’s hard to refuse a proposal, if not impossible. This model is equally classy, and the heart-shaped detail gives it a little bit of edge and originality. 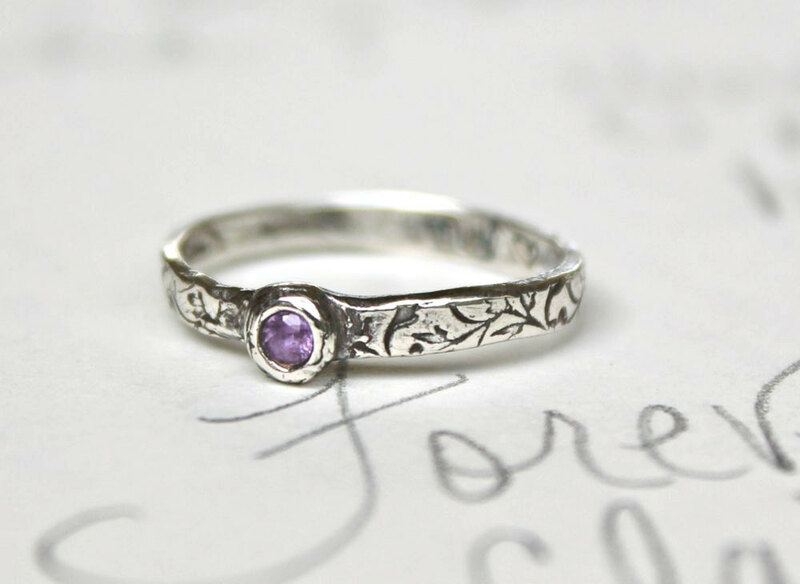 If you’re a flower aficionado, then there is no doubt that this ring will be next to your heart! What’s better than combining flowers with diamonds? 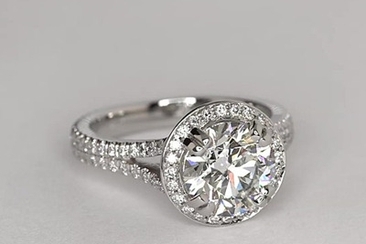 This engagement ring comes with a round center diamond, surrounded by other diamonds. 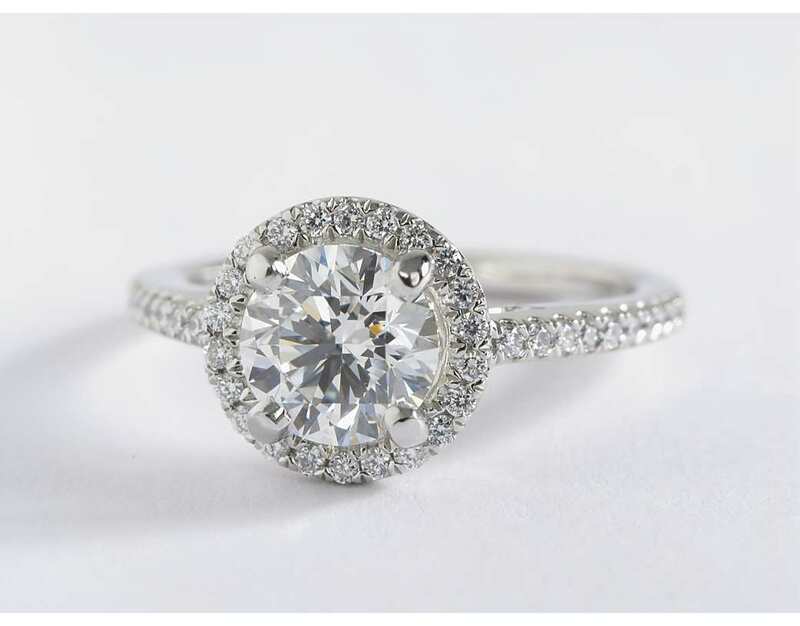 This ring is the pure definition of brilliance, and will make every bride-to-be sparkle. We couldn’t have missed including such an exquisite diamond ring in our collection of unique engagement rings. This piece comes with a particular effect – the twist, and it asks for our attention. 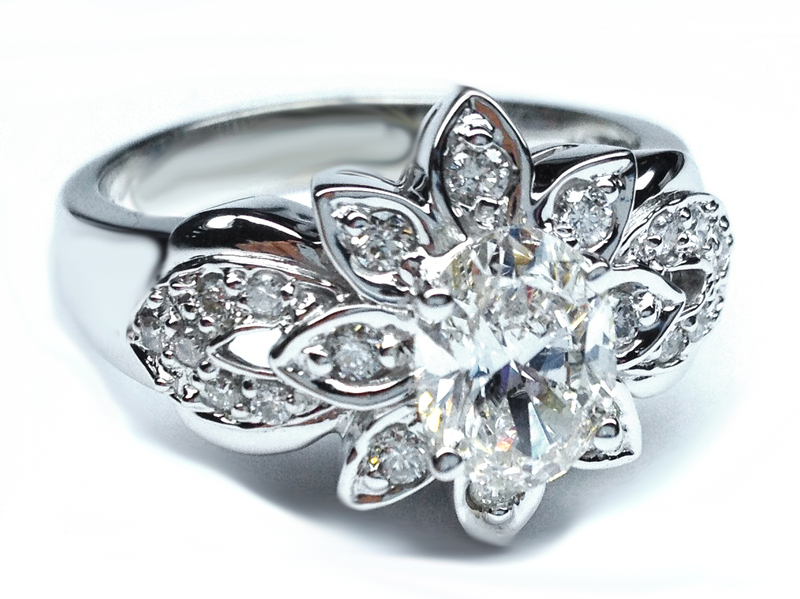 This stunning design is characterized by small leaves, which will wrap your finger. 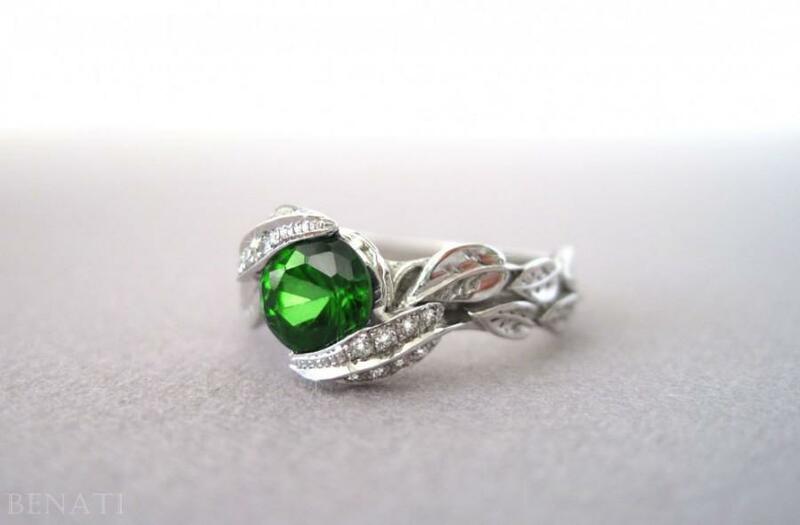 The small white diamonds, paired with the emerald center stone is an unmatched combination. This unique and spectacular diamond design will please the heart of every bride-to-be that adores exquisite gems in fantastic shapes. 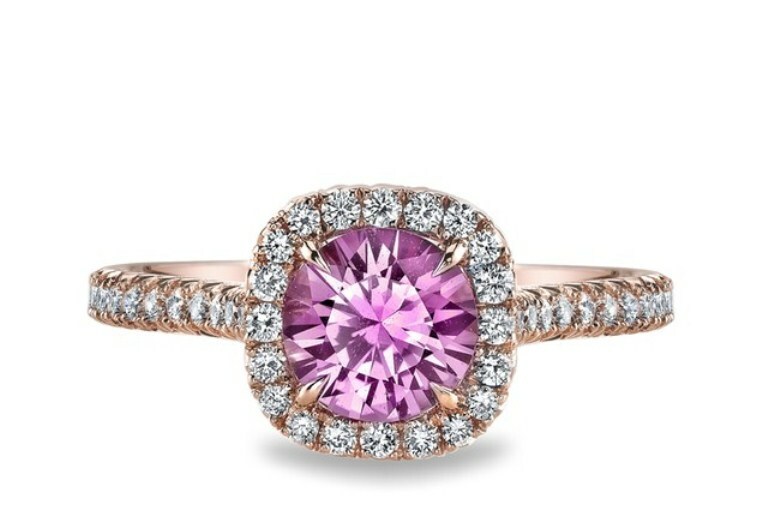 This is a classic, elegant design, with a bit of edge granted by the pink sapphire halo. 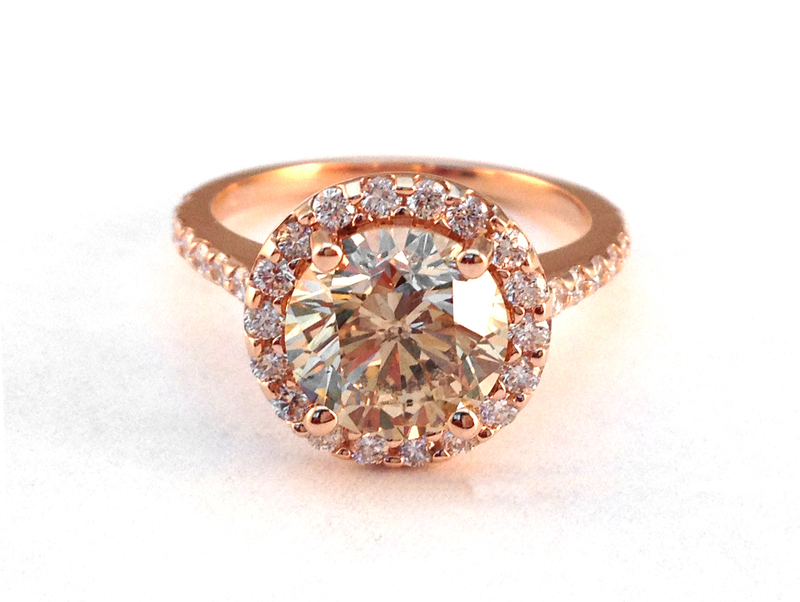 The antique cushion silhouette makes the ring even more stunning. 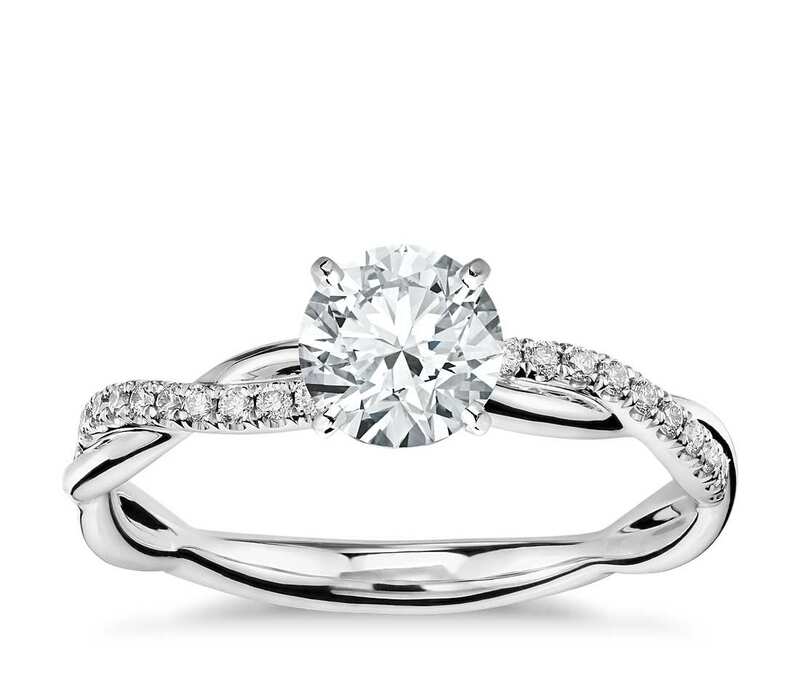 This is one of the most attractive designs on our list of unique engagement rings. 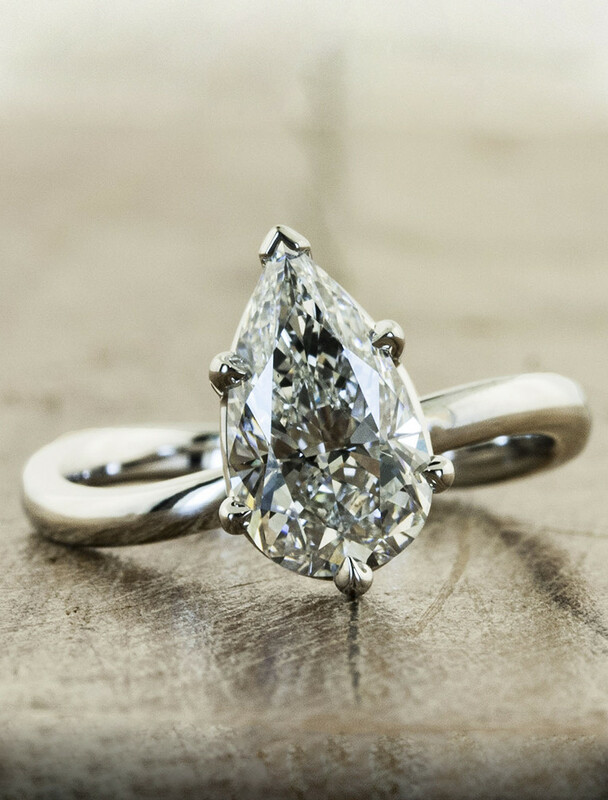 This princess shaped diamond, combined with the perfectly-cut lines says I do like no other. 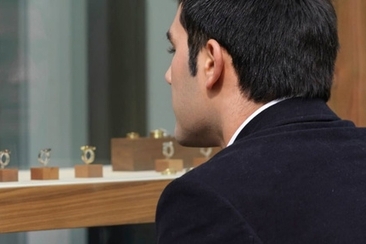 A costly diamond ring for engagement could disturb your whole budget. 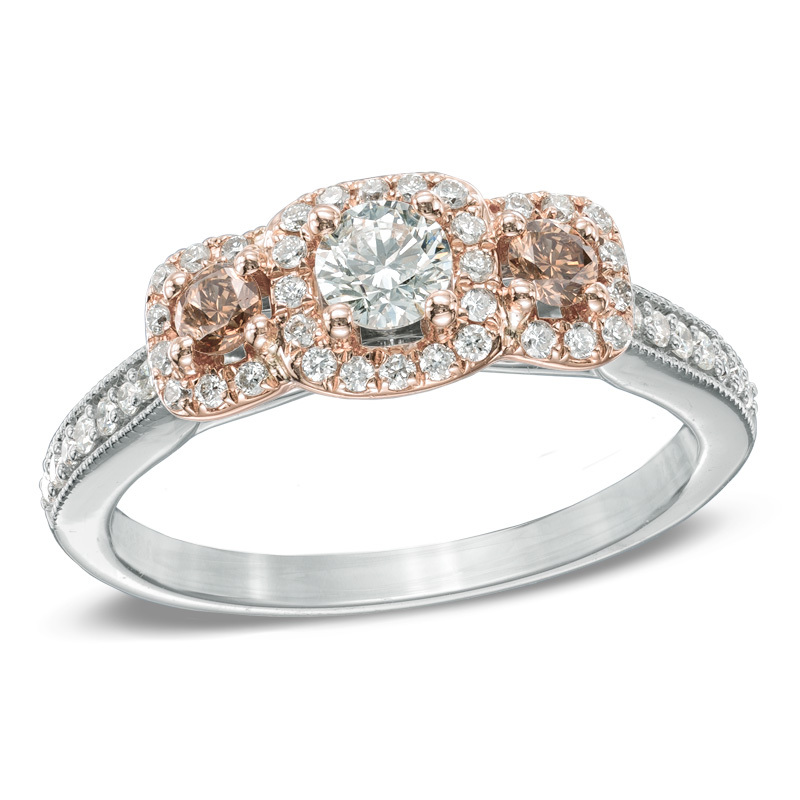 There are so many elegant affordable engagement rings that you can choose from. Here are 20 best ones. 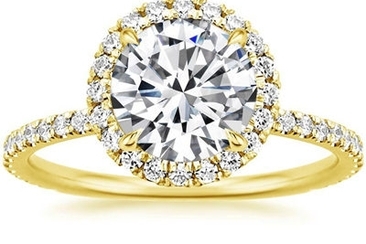 This collection of 20 stunning yellow gold engagement rings will instantly attract you. 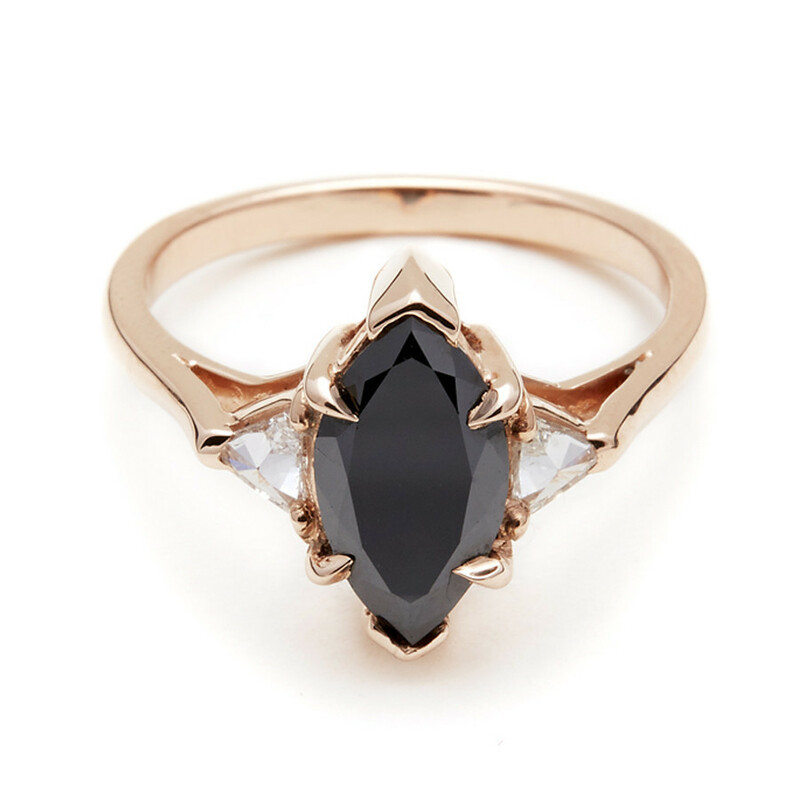 Here are glam, classic, eternal vintage-inspired rings that are both beautiful and stylish.